Well I learned the other day that one of my husband's favorite meals is one I had never ever cooked him and I started feeling guilty. The night before my husband's first day back at school I decided to make it up to him and finally make him Shepherd's pie. I turned to PW for help because I thought surely she'd have a wonderful Shepherd's pie, but I couldn't find one so I turned to Paula Deen's and friends she did not let me down. My mom never made Shepherd's Pie growing up so I didn't know what to look for in a recipe, but I just assumed Paula Deen would know. 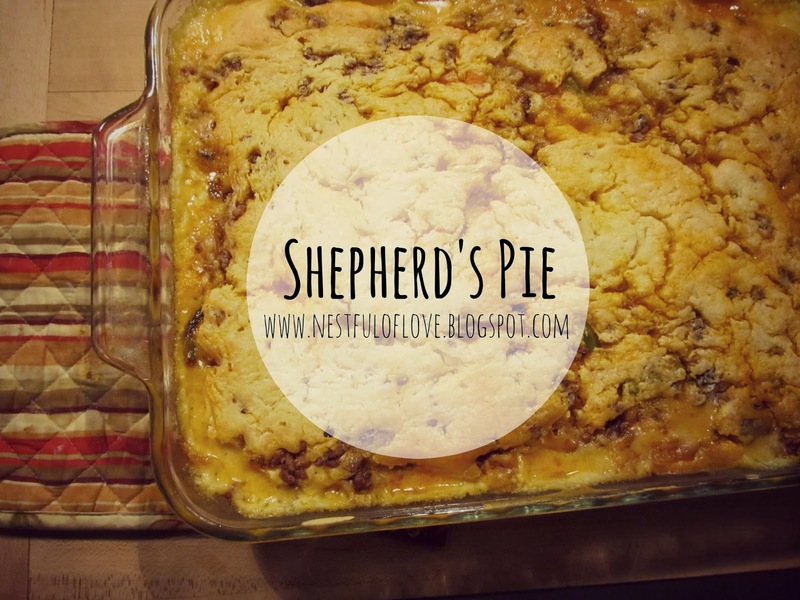 So here's her recipe and let me just say that this Shepherd's pie is husband approved and now in my meal planning binder to be made again.